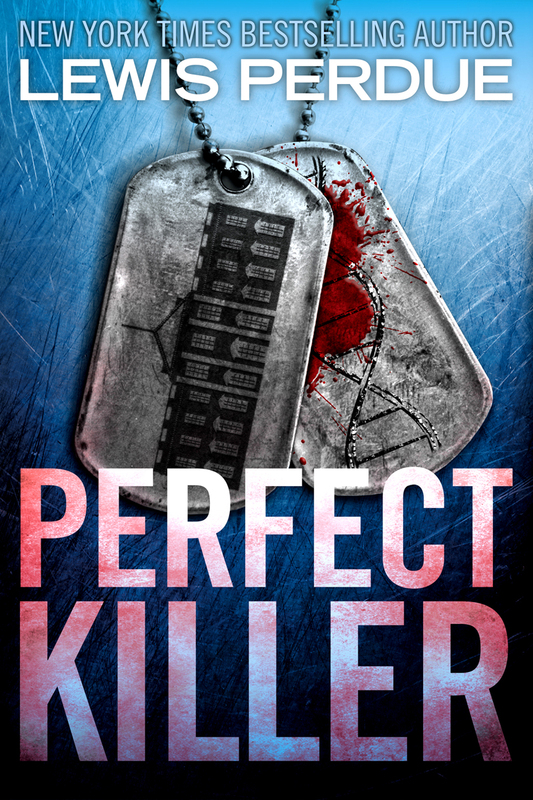 Perfect Killer will be available in all formats again once its stint the Kindle Select program is over. No Fear. No Conscience. No Mistakes. When a prominent Mississippi civil rights attorney asks renowned neurosurgeon Bradford Stone to help her save the life of a white racist condemned to death for the cold case murder of a black man, he has no idea that he is about to be dragged through a deadly past he thought he had escaped once and for all. Stone, the disinherited scion of a powerful Delta Planter family, has no premonition that he is about live through the hellish proof of William Faulkner's axiom that, "The past isn't over; it's not even past." Set mostly in Mississippi - primarily the Delta region where the real-life gothic exceeds the most outlandish Flannery O'Connor story - Perfect Killer tells the story of a future which can never break free of the past. The mystery is centered in the Mississippi Delta in a top-secret military project begun decades ago in a facility once housing German POWs. The program, Project Enduring Valor, is designed to create the ultimate human killing machine. For over seventy years, has sought the Holy Grail of combat medicine: a chemical compound that would turn ordinary soldiers into weapons of mass destruction, the Perfect Killers. Now, after decades of covert trial and error which have resulted in troubling side effects such as the My Lai massacre, Enduring Valor is ready to be implemented on a massive scale--despite a few troubling side-effects. Take a good, close look at all the real people, places and events that form the factual backbone of Perfect Killer. This section is constantly being added to, with video and other special features in the works. If you want to see what is real, what the people and places look like, this is your page. My thanks to the people who made this book possible. Read Why Author Lewis Perdue had to wait for his mother to die before writing this book. The Da Vinci Codex is Missing! 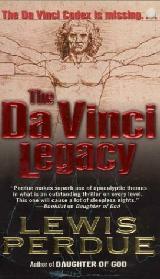 The ORIGINAL thriller about Leonardo, art and religion is BACK in print. Finally, all of my books in one place. The original art and Vatican conspiracy thriller about religion and the search for the lost Goddess in Christianity. This is a blog covering the Random House/Dan Brown plagiarism court case. This is a blog covering Dan Brown's various fabrications, boasts and fictional inflation of his life and accomplishments. Perfect Killer is an investigative thriller because it explores the truth behind the engineering of the warfighter's mind and how that could alter the face of battle. You may even want to read Dr. Richard Gabriel's Afterword first -- before reading the rest of the boot itself. Dr. Gabriel is professor at the U.S. Army War College, a retired Army Colonel and former intelligence officer, the author of more than 30 books and former consultant to the Department of Combat Psychiatry at Walter Reed Army Medical Center. He believes the secret pharmaceutical program at the heart of Perfect Killer may bring death and casualties on an unprecedented scale. In addition, there are indications that a drug such as Xantaeus may have been tested on some American troops in the First Gulf War and could be responsible for a variation of Gulf War Syndrome. As a former investigative reporter in Washington (Gannett, Dow Jones, Jack Anderson) it's ironic that this fictional account may have led me to the most important story yet. Indeed, NBC's Fred Francis touched peripherally on this in 1989 when he interviewed Dr. Gabriel for a segment dubbed, "The Brave Pill." The Southern novel wrapped inside Perfect Killer's history is party autobiographical, based on real people and events and inspired by William Faulkner's assessment that the past isn't over, it isn't even past. Q. How did the recent re-opening of the Emmett Till case affect your writing? Perfect Killer was finished before the case was re-opened. I was much more influenced by the successful re-opening of the Medgar Evers case and by my experience of working for Mississippi Governor Bill Waller (now on the state supreme court) who courageously prosecuted Eversâ€™ assassin twice despite death threats and the immense pressure from the segregationist democratic party apparatus. Despite his courage, the best Waller could get was a hung jury from all-white panels. The fact that the juries hung rather than acquitted is testament to Waller and to the inherent goodness in the hearts of many Mississippi whites. Q. Your thrillers all deal in detail with compelling, significant issues of universal appeal and concern (religion and faith in Daughter of God, race and the dark side of genetic therapy in Slatewiper and now, consciousness, free will and the intersection of science and religious belief in Perfect Killer). A. While it annoys literary snobs to no end, the reality is that too few people read "serious" books. So, despite the drumbeat of abuse heaped on popular fiction by snobs and vain intellectuals, genre fiction such as thrillers, mysteries, romances and other "airplane reading" reach far more people and in the end have a far greater influence on society, culture and the inner life of people than books that take themselves too seriously for their own good. Steven King and Nora Roberts have had a far more lasting effect on American culture and its readers than a 747-load of "important" or "serious" books. This drives the snotty reviewers and critics (redundant, that) totally nuts. In addition, a stultifying orthodoxy afflicts the "serious" side of any discipline, whether itâ€™s literature, physics or consciousness studies. The defenders of the status quo jealously guard their turf against new ideas and concepts that challenge their view of the field. They have, after all, attained their lofty intellectual positions by supporting and publishing books and papers that bolster their "correct" view of the world. They have much to lose from new ideas. Without the "right" intellectual perspective â€“ their rules, their outlook, their dogma â€“ any attempt I might make at a "serious" non-fiction work would probably be rejected by the establishment. Besides, thrillers are fun to write and fun to read. Nowhere does the boundary between science and religion come to such a keen sharp focus as it does in examining the biological and physical bases of consciousness. Evidence is accumulating that the reductionist theories, underpinned as they are on classical physics, are increasingly invalidated by quantum physics which indicates that the nature of reality is weirder than we think. Perfect Killer explores these issues through characters whose conscious ability to exercise free will varies greatly -- as it does in society -- from one individual to another. As each character searches for redemption through conscious choice, their conclusions hold fundamental consequences for society as a whole. Q. Is there really a "quantum theory" of consciousness or did you make that up? A. Yes. The top center for studying this is the Center for Consciousness Studies at the University of Arizona. The leading proponent of quantum consciousness theory are Sir Roger Penrose OM (born August 8 1931), an English mathematical physicist. highly regarded for his work in mathematical physics, cosmology and a key theorist about black holes along with his partner in this, Stephen Hawking. Q. Why did you choose "free will" as the underlying backbone of deeper substance in Perfect Killer? A. Because intentionality, the ability to make a choice and the necessity of living with the consequences of choice underpin all of human relations from marriage and friendship to the criminal justice system. Additionally, the politically correct yet scientifically incorrect notions of orthodox biology and psychology have undermined the significance of free will and personal responsibility. Just as classical Newtonian physics has been proven wrong so many times by quantum physics, I wanted to set the record straight with regard to free will and how the old, classical view has been supplanted by the new. Q. Your characters in Perfect Killer have a variety of mental dysfunctions ranging from coma to psychosis and outright homicidal mania. Why? A. Because we learn so much about something when things go wrong. And because we are fascinated and horrified when serious things go wrong with our minds. With other animals and systems, we can intentionally tinker with things, alter a part of a system and study the effects to see what it does. This is obviously not ethical to do with human beings. Thus, volumes have been written about various mental, perception and consciousness issues all deduced from damage to particular areas of the brain. In addition, one of the theories in Perfect Killer is that we are all incapacitated in some way or another in our ability to perceive, think and decide. In other words, our brains (the meatware) are analogous to computer hardware. We all have different hardware configurations that vary from one person to another in their ability to perform specific functions. Thoughts, motivations and the decision-making process are like software which will run better on some meatware and worse on others. This concept is why I chose a spectrum of mental dysfunctions. The spectrum allowed me to explore the implications of decisions made by each character and how each character was able or unable to overcome their own meatware limitations in making decisions. If Penrose and Hameroff and others in the field of quantum consciousness are correct, our consciousness derives from and has quantum connection to the space-time continuum â€“ the very fabric of the universe and of reality itself. Q. Is there scientific evidence for free will? A. Absolutely. A new form of psychotherapy, known as cognitive behavior therapy, has begun to break through the stone walls of psychiatric orthodoxy and the current drug-oriented treatment dogma. The therapy goes beyond traditional "on the couch" talking therapy and requires a person to deal with their depression, anger, urges etc. by identifying thought patterns and assumptions ("Iâ€™m a bad parent;" "I donâ€™t do well on tests.") then begin cognitively disputing those assumptions and to initiate physical actions that keep themselves from brooding over those negative assumptions. In other words, people are thinking their way out of psychological jams rather than popping a pill. Studies at Harvard and other institutions have shown that CBT shows a recovery rate at least equal to pharmaceuticals but with a significant difference: CBT therapy has a more lasting effect than drugs like Prozac. CBT can be a "permanent" cure because it actually changes the physical configuration of the brain â€“ growth of new synapses â€“ and does so in more than one area of the brain whereas drugs work on one specific area and are effective only so long as the person continues to take them. Obviously CBT represents a serious threat to the multi-billion dollar markets of the big pharmaceutical companies. Perhaps more importantly, CBT offers confirmation that a person can "will themselves well," and offers evidence that pure thought can be self directed through conscious decision and that ethereal "thought" can produce a direct physical effect. This disturbs the mainstream of neuroscience which believes that consciousness and all resulting thoughts are accidental or incidental byproducts of the web of electrical discharges in our brains. Through some as-yet-undefined method of self-referential coherence, the ruling dogma holds that everything is matter and nothing is transcendent. This, of course, comes from a classical physics standpoint which has been proven incorrect so often by quantum physics. Q. Why is quantum consciousness likely to be more valid than the classical view? A. To begin with, studying consciousness is a lot like studying quanta: any observation of the system â€“ whether a personâ€™s consciousness or a photon -- changes the system. This means that we can observe the results of an observation, but we cannot actually know with certainty what the state of the system was prior to our observation. The past fifty years has shown us that the classical notions of physics formulated by Newton and expanded upon in subsequent systems may look good to us and comply with "common sense" but that they are simply "pretty good" approximations that do not accurately reflect the true nature of matter, energy and reality. If classical physics is all we had to work with, we would not have semiconductors, solar cells, global positioning satellites, lasers, CD players, personal computers, modern medical imaging like MRIs and PET scans or any of the other of thousands of technological devices we take for granted. Yet those who study consciousness and behavior still hew to the old, disreputable notions of classical science that have been proven wrong for so very long. They do this because it "seems logical" to them. But the well-proven principles of quantum physics show that the universe is a weird and counterintuitive place where matter and energy are both waves, particles and sometimes neither, where matter is energy is matter and neither really exists except as a yet-undetermined function of the space-time continuum. In the strange world of quantum physics, a particle can be in two places at the same time; the actual state of a system can ever be determined with absolute certainty; and an action on an entangled particle here, can result in an instantaneous chance in another particle, there â€“ even if there is a million miles away. If this counterintuitive maze doesnâ€™t make sense to you, youâ€™re in good company. Nobel Laureate and renowned physicist Richard Feynman said that "Anybody who says they understand quantum physics is either lying or crazy." Albert Einstein never got comfortable with quantum physics. He called quantum entanglement "spooky action at a distance" and insisted the inevitable uncertainties could not be right because "God doesnâ€™t play dice." Einstein was wrong. Quantum physics proves that God does play dice. However an increasing body of research into quantum consciousness indicates that we get to roll those dice a lot of the time and that could be the foundation of free will. Q. You have all this talk about quantum physics, but weâ€™re biology, living things. How does that apply to us? A. The biologists and chemists hate the intrusion of physicists into the investigation of consciousness, but the reality is that everything is physics. A biological system â€“ whether itâ€™s a turnip or a human brain â€“ is a mass of molecules, sustained and energized by energy either from the sun or the chemical bonds in other molecules. This fits into the category of biochemistry which is simply chemistry applied to biological systems. Chemistry for its part, is nothing more than the physics of how atoms behave when they connect or disconnect with each other. Atoms connect and disconnect with each other according to how their electron orbitals interact and this is determined by quantum physics. These electrons, which many people think of as "solid" particles, are actually some undefined wave or possibly string-like phenomenon. This holds also for the supposedly solid protons and neutrons in an atomic nucleus. Biology = biochemistry = chemistry = electron bonding = quantum physics. Everything is physics and the foundation of all physics is quantum physics.